SST Students Blog : [S1 students] Literature comes Alive! 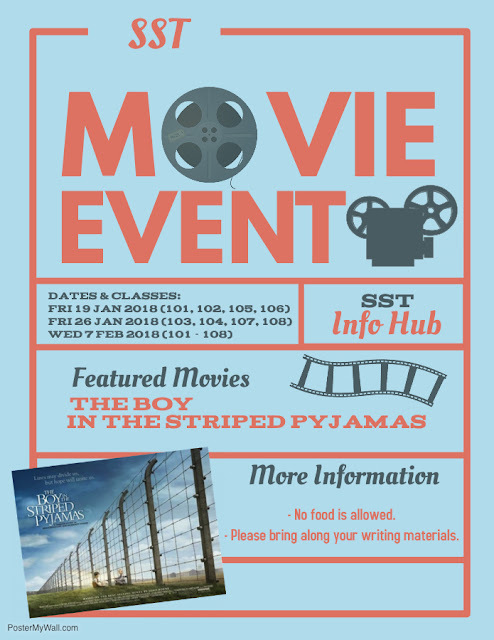 We are screening the movie of the book that you are currently studying in the Language Arts Programme. Through motion pictures, we hope that you can better appreciate the story that you are working on, especially when analysing the text. As far as possible you will attend the session at the date designated for your class. However, if you are unable to make it on both Fridays, do turn up on the last session (Wednesday). Please remember to bring along the learning materials given by your respective teachers when coming for the session.